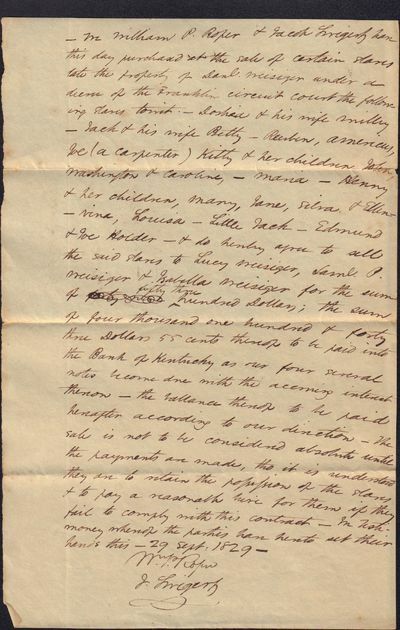 1829 Sale of Slaves and their Families of Captian Daniel Weisiger, III in Kentucky to Lucy, Samuel P. and Isabella Weisiger. Specializing in Scholarly, Illustrated, Fine Printing & Fine Binding. The book as Artifact. Costume & Fashion: Haute couture Magazines & Publications before 1949. 30 day return guarantee, with full refund including shipping costs for up to 10 days after delivery if an item arrives misdescribed.